Tri-Part, Inc. | Tri-Part, Inc.
Tri Part Screw Products’ vision is to provide our customers with a single point of purchase for all of their precision machined parts. Tri Part Screw Products’ core products include component parts of hydraulic, pneumatic, and mechanical power transmission systems. Our mission is to be a leader in the manufacture of high precision screw machine parts, exceeding our customers’ needs through continuous improvement, assuring the long-term prosperity of ourselves and those we serve. 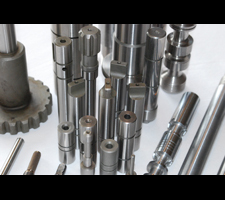 Contact us and give us an opportunity to meet your manufacturing needs.